That large, bulky air conditioner unit will never again mar your perfect flowerbeds and carefully kept landscaping, thanks to architect and design genius Michael Graves. 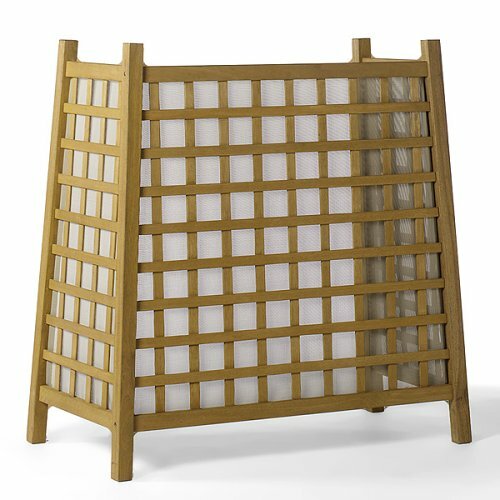 The trellis pattern of this screen perfectly matches the latticework in our exclusive Michael Graves Garden Bench; the fabric is a durable vinyl-like material specifically made to weather outdoor use. Assembly required. 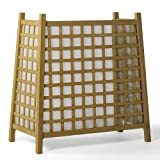 Also great for stashing away unsightly garbage cans, recycling, or garden and grilling equipment. 47-1/2Hx45-1/2Wx24-1/4D.